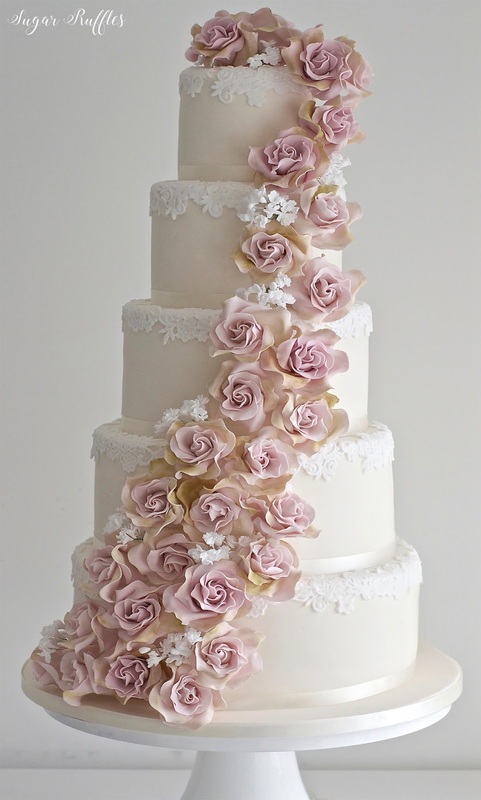 Here is a wedding cake we created last year for a beautiful vintage themed wedding at Storrs Hall. A beautiful 5-tier wedding cake with lace trim and cascading amnesia sugar roses and gypsophila, delivered and set up at Storrs Hall, Winderemere and finished with fresh flowers around the bottom of the cake by Brakens of Bowness. The flavours included rich fruit cake, chocolate orange truffle, white chocolate and passionfruit, chocolate and vanilla. 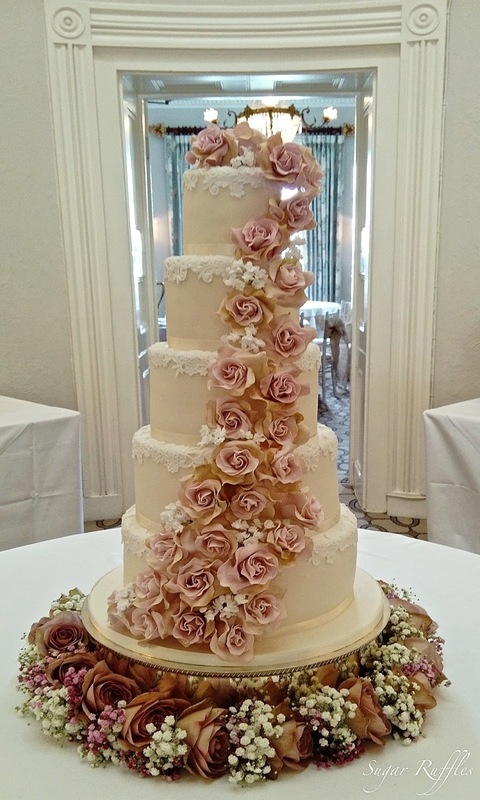 It looked lovely set up in the rotunda at Storrs Hall. 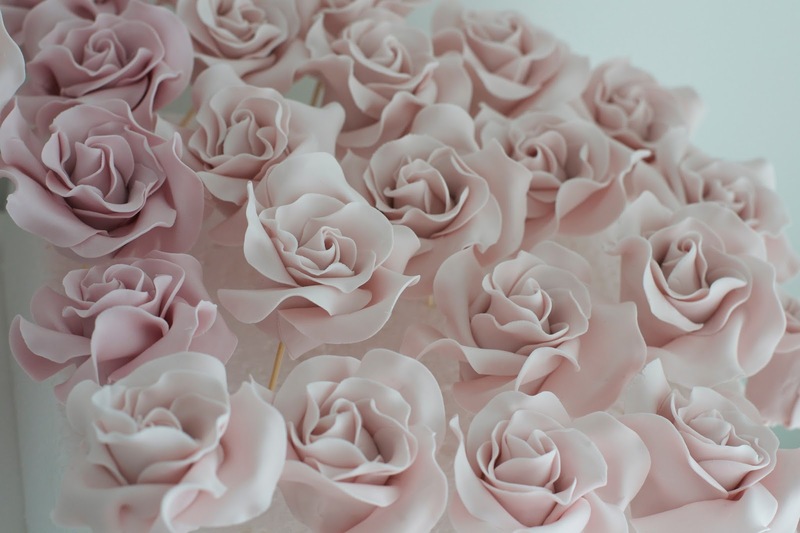 Here are the sugar roses in progress, before being dusted to create the beautiful vintage edges that make amnesia roses so popular for vintage themed weddings. 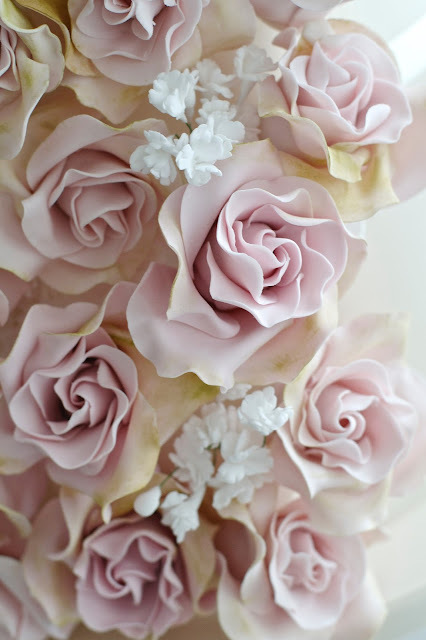 And then after dusting along with the gypsophilla sugar flowers. You can find a tutorial for our sugar roses in our online shop.